With a new year comes a chance for reflection. What things did we enjoy? Which areas could we improve? Here at the I Like Knitting headquarters, we need your help making our magazine the very best it can be. 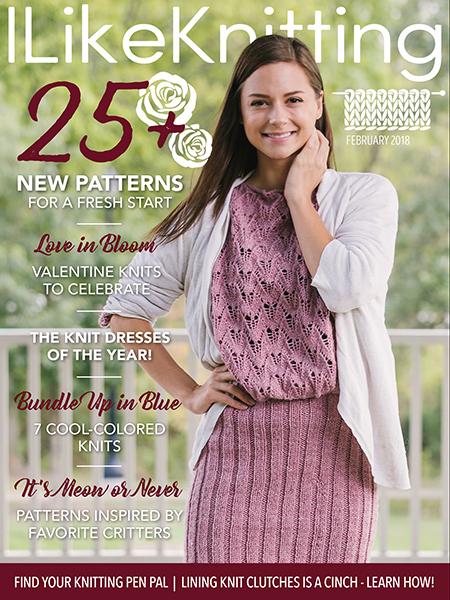 At the end of this issue, you’ll find a pattern survey. Once you’ve read through our magazine, we kindly ask that you take a few moments to rate our patterns and let us know your thoughts. Your feedback is invaluable to us as we enter into a new year with new goals and a renewed desire to make sure we make each issue the very best it can be. 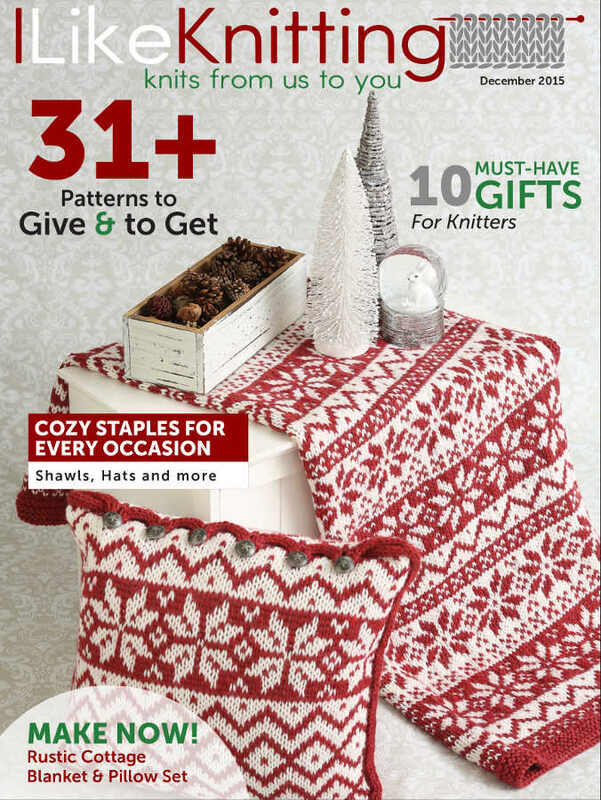 As you keep reading, you’ll discover more than 25 patterns to keep your needles clicking! 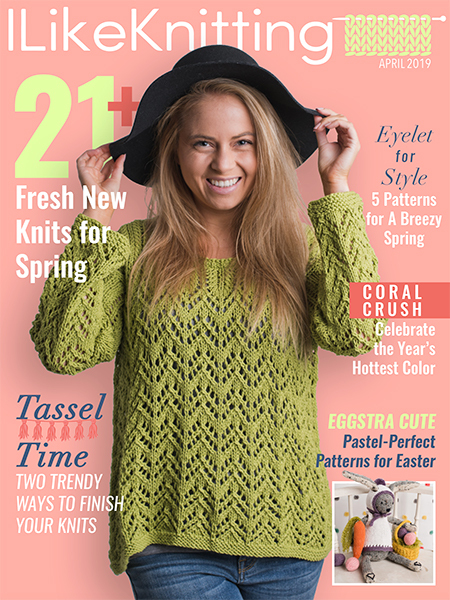 From gorgeous dresses that can be worn all the way into the springtime to insanely-cute projects inspired by some of our favorite critters—this issue has a little something for everyone! Don’t miss my personal favorite, the Blumen Baum mittens. Design submissions and article ideas should be submitted through our submission form.